UPDATE (17 Feb 2017): The exhibition has been renamed to Surviving the Japanese Occupation: War and its Legacies. Say what you want about the naming of the newly-opened Syonan Gallery but one thing is for sure, the new exhibition within the Former Ford Factory is full of riveting, compelling and sometimes outright depressing exhibits. After all, this was the place where the formal occupation of Singapore started. On 15 February 1942, the British forces led by Lieutenant-General Arthur E. Percival surrendered unconditionally to the Japanese 25th Army led by Lieutenant-General Tomoyuki Yamashita at 6.20pm in the factory's boardroom. A designated national monument and formerly known as Memories at Old Ford Factory, the building was closed for the past year for its contents to be revamped. Now, Syonan Gallery: War and its Legacies features refreshed content and sports a new focus. Syonan or Syonan-to, meaning “Light of the South”, was the name given to Singapore by its Japanese rulers between 18 February 1942 and 12 September 1945. The gallery subtitle highlights a new area of focus for the exhibition by looking at the impact of the war and the Occupation years, including the immediate and longer-term legacies of this period on Singapore and the region. The exhibition space is broadly divided into four zones and I will briefly introduce each of them. This section tells the history of the Ford Factory and sets the scene in pre-war Singapore. Visitors will learn how the building evolved through the years, from its start as Ford Motor Company's first motorcar assembly plant in Southeast Asia in 1941 to being gazetted as a national monument in 2006. On 8 December 1941, the Japanese dropped the first bombs on Singapore and World War II reached here. Visitors will be able to see the timeline as to how the war in Singapore unfolded, right up to the moment the British forces surrendered. Here, besides gaining fresh perspectives on the fall of Singapore through three intertwining narratives on Japanese aggression, British defences and how civilians in Singapore were caught up in the larger forces of imperial struggle and war, the highlight of this zone has got to be stepping into the ACTUAL boardroom of Ford Motor Factory where the surrender took place. After the British surrender, Singapore was renamed Syonan-to. The Japanese Occupation was a period of suffering and unfulfilled promises. Through the personal items and oral history recollections on display, visitors get the chance to find out about the diverse wartime experiences and the different ways people responded to these challenges. The most shocking section however, deals with the Sook Ching Massacres where three days after the British surrender of Singapore, the Japanese carried out a mass screening of the Chinese community to sieve out suspected anti-Japanese elements, marking the beginning of a fearful period of state-sanctioned violence. Through oral history accounts in a video, we get to learn about the harrowing experiences of those who were screened and escaped the killings. The final section showcases the fight that the resistance forces engaged with the Japanese army in a bid to overcome oppression and the gradual fall of the Japanese Empire. On 5 September 1945, the British returned to Singapore, to relief and rejoicing amongst the locals. But the legacies of the war manifested on various levels: the British grand plans for decolonisation; the social challenges of postwar reconstruction; the people's political awakening. The exhibition ends on a contemplative note on how we remember the war and its enduring legacies. Is Syonan Gallery suitable for kids? Most of the exhibits require reading so that one can understand the meaning behind the archival materials. Older kids who are interested to find out more about the darkest period of Singapore's history will not be disappointed. For younger kids, thankfully there are still pockets of oral history interviews and interactive elements within the exhibition to keep their interests piqued. At the main gate entrance of the Former Ford Factory, it was where Lieutenant-General Percival started the walk of surrender together with other members of the British forces. Here, kids can take a step back in time by re-tracing the path taken by the surrender party. Kids will be able to step into the actual boardroom of Ford Motor Factory where the British forces surrendered on 15 February 1942. The photo displayed on the screen should be familiar to all those who have studied Social Studies in school, no? Through the use of archival footages and records, visitors will be able to witness the events leading up to the surrender. While the surrender table in the room is a replica, the four chairs in the room are original chairs used in the Ford Motor Factory. Even the electrical sockets in the room have been faithfully preserved! Personally, I feel the third zone 'Becoming Syonan' houses the most compelling exhibits. It is here where some of the most vivid Sook Ching accounts are presented through oral history accounts in a video. Listening the accounts sure beats reading through pages and pages of history books! Expect to see other authentic exhibits too, like this Overseas Chinese certification of registration. During Sook Ching, those who were screened and allowed to leave had the word 'examined' stamped on their arms or clothing. In addition, kids will be able to experience how big (or small) the actual cell size was for the Prisoners of War (POW). More heartbreaking are the displays of various letters that family members wrote to the POWs, like this one from a POW's daughter. With kids being kids, I have always come to expect them to come with itchy fingers. Fortunately, there are a few interactive exhibits within the Gallery which are highly educational as well. I love the idea of having visitors guess how much a dozen of eggs cost from 1942 to 1945. Due to the rapid depreciation of the 'banana money' currency, the same number of eggs cost a whopping $432.60 in September 1945 compared to just $0.60 in February 1942! Another interactive exhibit not to be missed is 'Choices' found in the third zone. Visitors can pick 1 out of 3 characters and make a series of decisions during the Japanese Occupation. There are certainly no easy choices. Kids will be able to put themselves in the shoes of suffering Singaporeans during the Japanese Occupation and make some pretty hard decisions. And more often than not, the outcome may not be pretty. After you are done with the exhibits, do not hurry home because the experience does not end there. 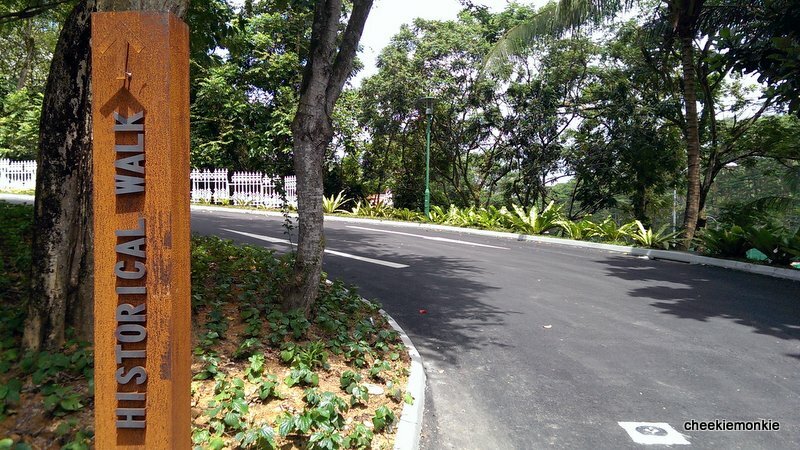 Tucked beside the Former Ford Factory building is the Syonan Garden, where visitors are able to find a variety of food crops that were widely grown in Singapore during the Japanese Occupation. 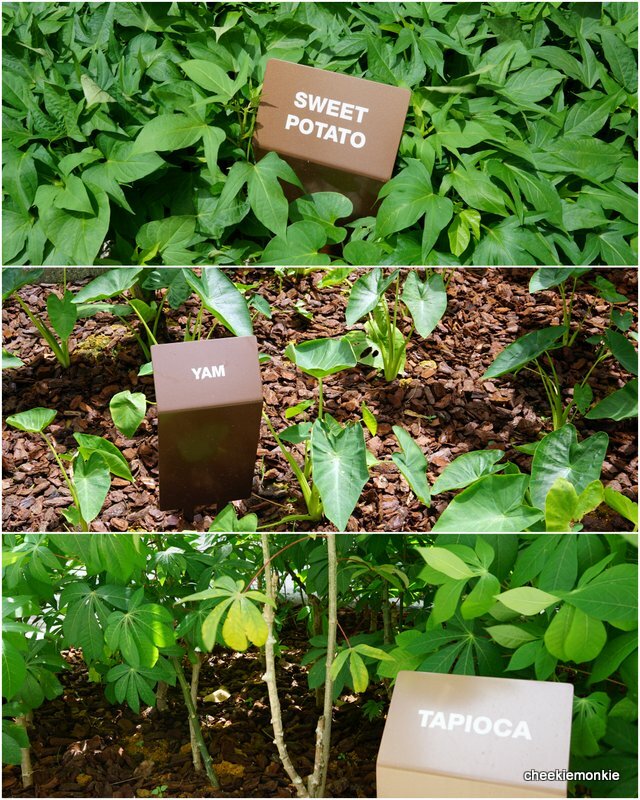 Crops such as tapioca, sweet potato, yam, banana, and coconut were planted by many people in order to survive. Kids will be able to learn about the creative and ingenious ways in which people used these crops to deal with scarcity during this period. There is also a Tsuda pump (developed by Tsuda Kijiro in 1920) on display. A manually operated water pump, it was used in Singapore back then and offers visitors a glimpse of how life was in the 1940s. Another interesting exhibit on display in the Garden is a disused railway signal which was originally located along Jurong Road. It serves as a reminder of Former Ford Factory's link with the nearby Bukit Timah Railway Line in transporting goods and resources for the assembly of motor vehicles. What I love about the exhibition is it features contributions from several archival materials, many of which have never been displayed before and they all warrant an intriguing look. So while it is tough to expect the kids of today to fully understand the tough living conditions back in the days of the Japanese Occupation, Syonan Gallery serves as an important reminder that we should never our peace for granted.